Primarily Used As Matting Agent In Chinlon Chemical Fiber (Nylon 6 And Nylon 66) Manufacturing . Liangjiang brand- Chemical Fiber Titanium Dioxide For Chinlon Chemical Fiber, The 1166 Chemical Fiber TiO2 is produced based on the production method of 1966 with improvement in the industrial process and is primarily used as matting agent in chinlon chemical fiber (Nylon 6 and Nylon 66) manufacturing . Transportation: In transportation, chemical fiber titanium dioxide should be kept dry and free from exposure to rain. Combined shipment with goods that may deteriorate its quality or damage the packing is strictly prohibited. Ensure product safety and packing cleanliness during transportation. Storage: In storage, chemical fiber titanium dioxide should be kept dry, ventilated and free from exposure to light, and is preferably kept indoors or in a place with a canopy. The storage site should be kept clean and free from exposure to sunlight, moisture and rain. 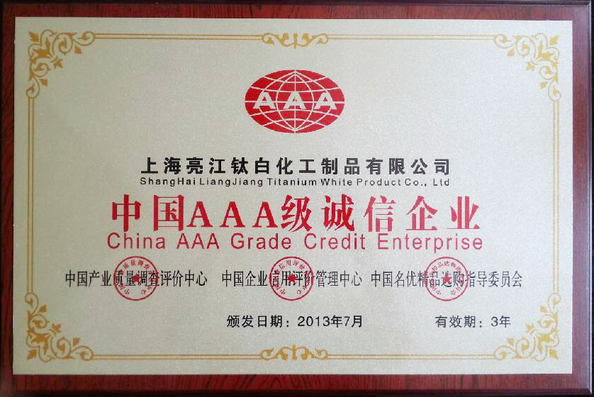 The validity period is 3 years as of the date of production. Upon the expiration of the validity period, the product is subject to re-inspection of all items and approval before it is used. 2. 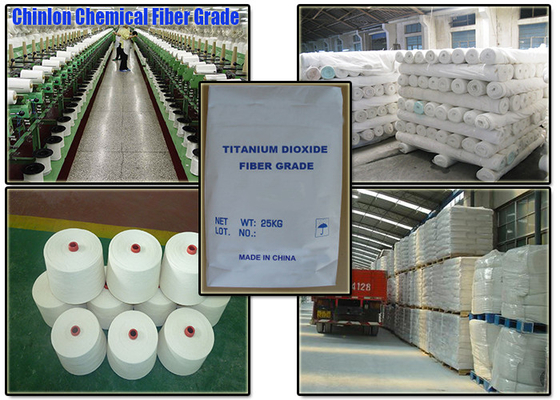 The cost of tio2 using in fiber is about 1%, the using of tio2 fiber grade is not like of the coatings. Using in coatings, if not good whiteness, matching color to remedy. If bad fitness, grinding repeatedly. If the bad quality of tio2 as Flatness, it will immediately cause the filter at a slower pace, and blockage of the jet hole, broken wires, hair silk, bad appearances of the fibers and so on. Liangjiang brand- titanium dixoide fiber grade, fine particles, almost no coarse particle, narrow particle size distribution and uniform, good dispersibility, and less impurity content, When using, not wear pipe, nozzle and wire cutting knife;Chemical stability, heat resistance, good resistance to light easy dispersion in bulk, fiber, and scattered and good stability, small filter resistance;After the extinction , not affects the strength of the fiber and spinning processing, once the sample passes the test, we can ensure the quality stability. 3. 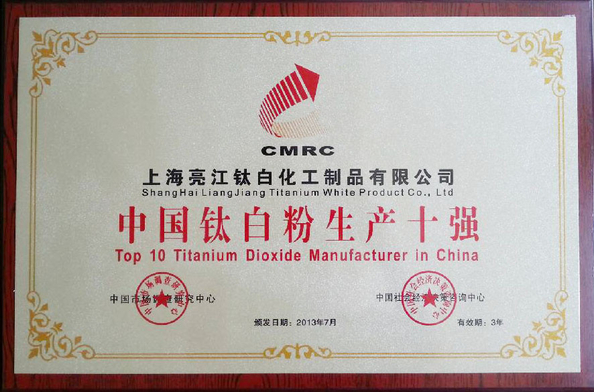 Liangjiang brand-Titanium dioxide fiber grade , the request for particle size and distribution.